Hub City Volkswagen has been moving families forward in Northern BC for a long time. Two generations worth in fact. As a family owned dealership, we believe that every family we meet needs something different. It’s our job to fit each family into the right Volkswagen vehicle. The Hub City VW experience might be a bit different than what you’re used to with a traditional dealership. We’re approachable, invested in you and your family’s long term needs. We want your Volkswagen vehicles to grow with your family and we’ll be there for you through your upsizing and downsizing. We’re Hub City Volkswagen, moving families forward. 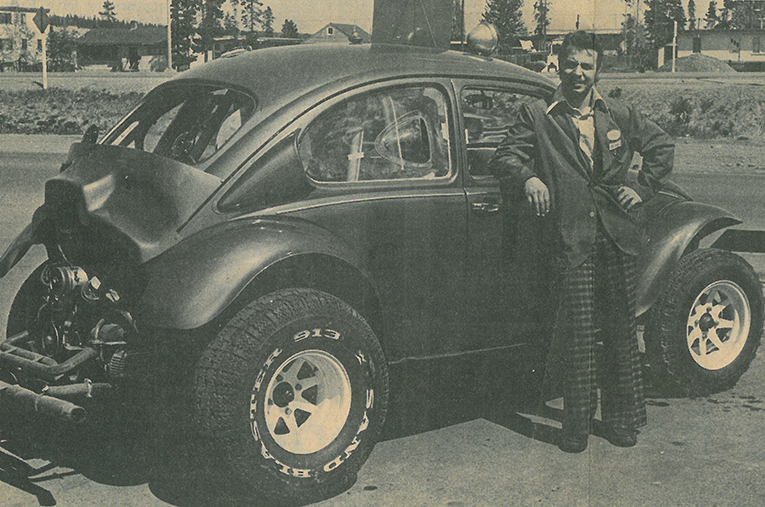 Karl Schleich, owner of Hub City Volkswagen at the time, and father to Richard Schleich, standing beside the Baja Bug he helped build in 1975. Hub City is devoted to moving families forward in a lot of different ways. Our community and communities are full of families that need help, we try to reach out as much as we can. 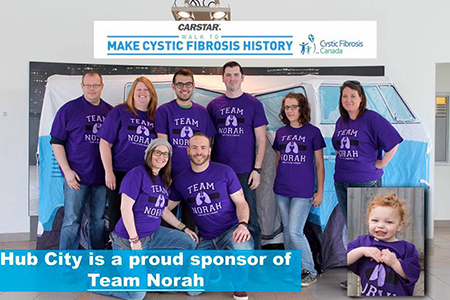 One of the events we love to do is hold an annual fundraiser in May for Cystic fibrosis and Team Norah in their fight to find a cure. 100% of the money we raise goes directly towards Team Norah. Did you know Prince George has a least 7 children fighting this deadly condition, and that number is only growing! We may not be able to take the heavy burden off of these children and their families but we can do something! We can donate our time and our money to help find a cure. Cystic Fibrosis is a genetic disorder that affects the respiratory and digestive system and can often be fatal. Each week in Canada, 2 children are diagnosed and one person dies from this horrible disease. We fell in love with little Miss Norah the moment we met her. We are in constant awe of the strength and courage this family continues to find and use. No 3 year old should have to fight this fight. No parent should have to worry this worry. We help move families forward! !